Vinyl wrapping has become quite popular lately. 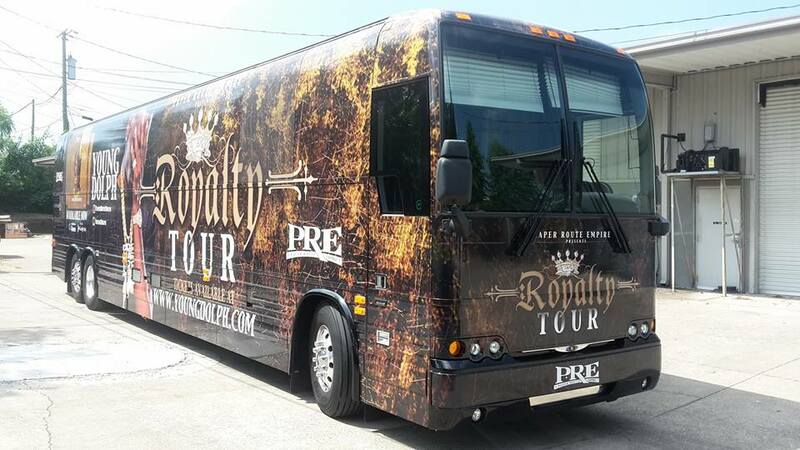 As such, there has been a flood of companies on the market claiming to install top-quality custom commercial vehicle wraps in Nashville and the surrounding areas. Not all of them do, and paying for high-quality custom commercial vehicle wrap and getting one are two very different things. For those of us that work in the business and understand the process and the intricacies of vinyl, the worst vehicle wrap design mistake a company can make is installing the wrap at room temperature. Vinyl is one of those materials that tend to shrink and stretch at extreme temperatures. It’s also pulled so tightly across a vehicle when it’s installed that even a minor amount of dust in the air can severely impact the quality of the job and the length the vinyl will last. For that reason, professional vinyl installers must install a vinyl car wrap in a temperature controlled indoor facility that is virtually dust free. The areas that are around the edges of the vehicles must be heat treated. While there are a lot of facilities out there that will claim to do a top quality professional job, the truth is very few of them follow these basic steps, and this severely reduces the quality of the job. If you are in the Nashville Area, contact Twisted Concept for a professional vehicle wrap. We’ll help you design a wrap to fit your vehicle perfectly. And, we have a temperature and dust controlled vehicle wrapping facility to ensure that the installation is top of the line. To make the best impressions and get the most out of your vehicle wrap, make sure your design and installation are in the hand of professionals. Contact us today!